Aadhar is now steadily going mainstream. According to the news on Hindu, Government has launched Saral Money, a type of a Debit Card, that will enable user to have a Bank account instantly based on users Aadhar Card details. 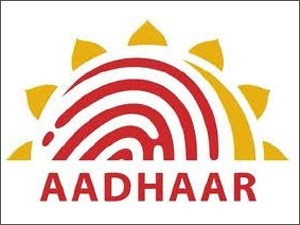 The KYC norms mandated by Government, which essentially verifies the identity of an individual, is done instantly due to the usage of Aadhar card. The process for acquiring Saral Money debit card has also been made extremely simple – These cards are available at bank counters or even at a grocery shop near you. Saral Money has been launched in collaboration with UIDAI and five large banks Axis Bank, HDFC Bank, ICICI, Indian Overseas Bank and the State Bank of India. The accounts are issues using VISA card network, which acts a backbone for Saral Money. Saral Card can be acquired by paying a nominal fee and the Aadhar card holder will be able to use the Saral Money card like any other ATM or Debit card. Hindu article also mentions that primary goal for launching Saral money is to enable Government bodies and other institutions to send money to anyone using only their Aadhar number, irrespective of whether the individual has a bank account or not. Once the money is sent to beneficiary on Saral card, he can withdraw the amount from any ATM or any Micro ATM using biometric authentication provided by Aadhar. There is no doubt that initiatives like Saral Money are going to go a long way in bringing financial inclusion to masses, especially in rural areas. Additionally, it will help tremendously in cutting down the middlemen when it comes to financial transactions, and thereby greatly reducing corruption. What Government really needs to concentrate right now though is to increase penetration of Aadhar cards. Even today, getting an appointment for procuring Aadhar card is a major hassle. And, even after one has applied, it takes months or in some cases years to actually get the card in your hand.